"Google does manipulate its search results manually, contrary to the company's official denials, documents obtained exclusively by The Daily Caller indicate," reports The Daily Caller. The DC describes Google's ultra-secret "XPA news blacklist" being maintained by "Google's Trust & Safety team," which carries out the politically-motivated censorship and blacklisting actions to silence news sites that Google wants to suppress. "Google has long been closely enmeshed with the US intelligence agencies. Dr. Rick Steinheiser in the Office of Research and Development at the CIA and Matt Cutts of the NSA, to name a few, are employed by Google in high-level positions. Google Earth and Google Maps software came from Keyhole, Inc., which was funded by the CIA via In-Q-Tel. 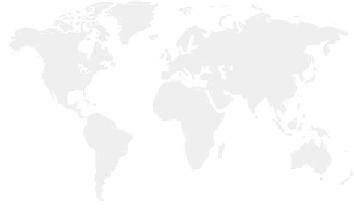 As well, Google has been helping the Chinese government in censoring the internet in that country." "The purpose of the blacklist will be to bar the sites from surfacing in any Search feature or news product," says the memo, reported by The Daily Caller. Sites targeted in this way receive virtually no presence on Google and are punitively banned from top news, videos, sidebars and other search elements. Importantly, website are manually added to the XPA news blacklist by people like Paul Haahr, an un-elected techno-fascist who operates with zero accountability, transparency or ethics. "This document, which describes the process by which a site can be blacklisted for deceptive news, clearly shows that there is a manual component," reports The Daily Caller. Banned news websites are added to a text file used by the Google search engine to determine which domains get banned. That text file is named: deceptive_news_blacklist_domains.txt It's not difficult to figure out that "deceptive" news websites, as decided by Google, are news websites which support President Trump, the United States Constitution, natural healing, awareness about vaccine dangers, geoengineering, the dangers of GMOs, opposition to globalism or any other topic that Google decides it opposes. The Daily Caller's investigation names several websites which are explicitly banned, and there's little doubt that NaturalNews.com is also found on this list. Other sites on the list include TheGatewayPundit.com, TeaPartyEconomist.com and the Conservative Tribune. 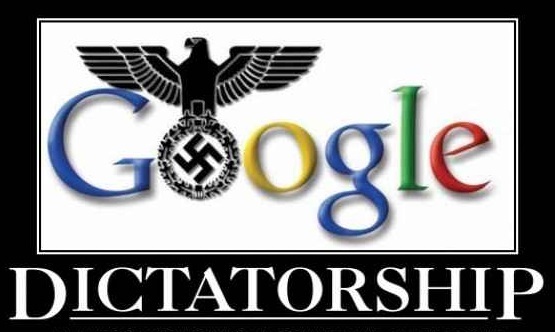 'Big tech' and 'totalitarian government' will continue online censorship until either: a) They regain control of the US in 2020 and then the REAL government BRUTALITY against its citizens begins or b) They are held accountable by POTUS and US Congress for attempting to steal the 2020 elections for the demonrat party. The leaders of all these tech companies need to be criminally indicted and prosecuted. It's time to end the fascism and defeat the tech giants like we defeated the Third Reich. Evil spooks like Paul Haahr and Matt Cutts belong in prison, not in charge of the public's access to human knowledge. The destructive effects of their insidious actions make Adolf Hitler's book burning campaigns look like child's play. You are witnessing real crimes against humanity being carried out daily by Google's engineers. They are enemies of humanity and destroyers of human knowledge. And they are causing more damage and destruction to human civilization than any government, corporation or regime could have ever imagined possible. It's time to end Google's techno-fascism and seek criminal indictments for those who have waged this war on human knowledge, human dignity, liberty and Democracy.